You might remember that back in May, we told you about the Wear OS powered TicWatch Pro from Mobvoi. This device is unique thanks to the two displays it carries. On top of an OLED display is a transparent FTSN LCD screen that is battery friendly. If you're using the wearable to access Google Assistant, install Google Play Store apps, change watch faces, control your music, receive notifications and track your health and fitness, the OLED display will be visible using Smart Mode. In Essential Mode, the LCD screen will be viewable, even under a bright yellow Earth Sun. The display will show you, well, essential information such as the time, date, steps taken, and your heart rate. 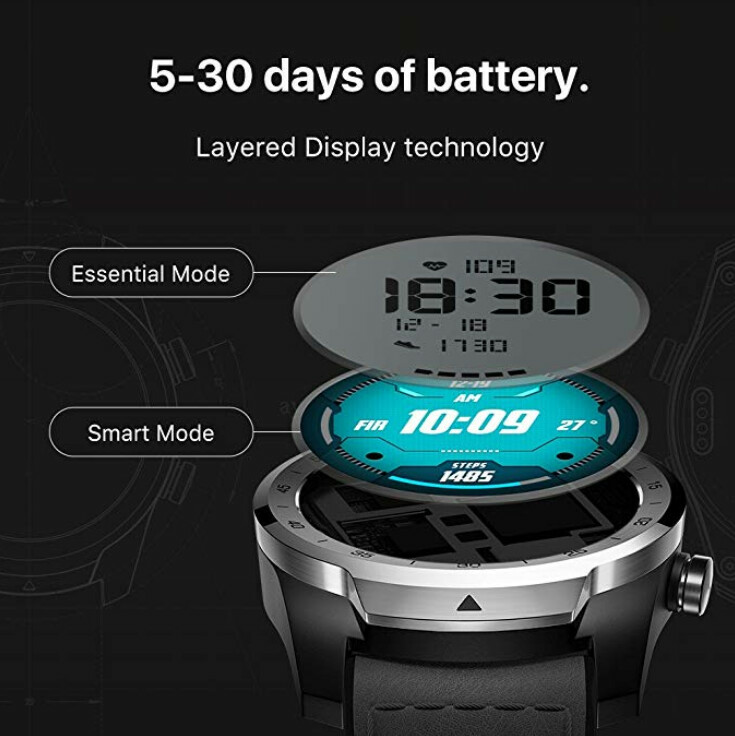 In this mode, the battery is barely touched, and if used in combination with Smart Mode, you will see one charge last for 5 days to as long as 30 days. 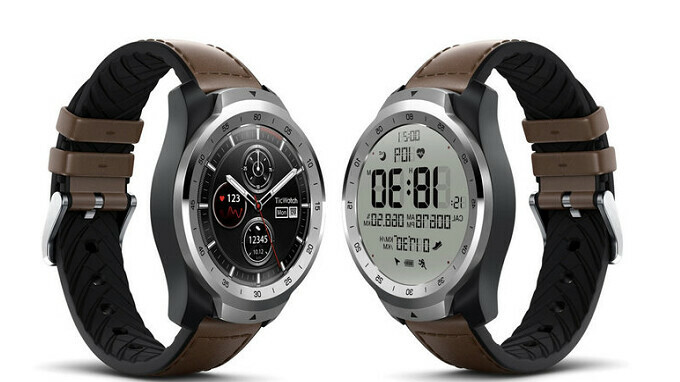 The TicWatch Pro is now available from Amazon, priced at $249.99 with free shipping. The colors offered are Black and Silver. An LTE version of the watch is expected down the road. Some other interesting points about the TicWatch Pro; the timepiece supports NFC so you can use the device with Google Pay to quickly pay for your shopping without having to crack open your wallet. And the health and fitness features offered include heart rate and sleep monitoring, a calories burned counter, GPS and more. If you're interested in a unique smartwatch at a affordable price, click on the sourcelink below. The Casio WSD-F10 and F20 both have two displays as well, and can last as long. Plus they run Wear OS as well. Found the amazon link via google search. Not currently available. amazon.com/dp/B07C6S92B8 Can't post links direct, so put the w w w in front.